rif and I had dinner at PJ Old Town a few weeks back. Since I hardly venture into old town, I let rif decide on what to have. 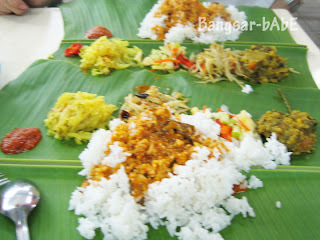 He chose to have banana leaf rice at Gerai Makanan Kavitha at PJ Old Town Food Court. 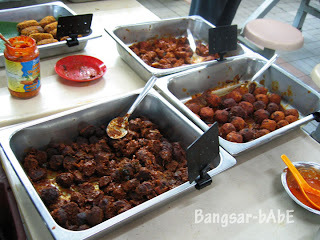 rif frequents this stall with his family quite regularly. 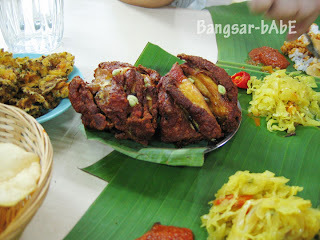 We had the banana leaf rice and two pieces of freshly fried chicken. We also asked for a plate of fried bitter gourd, fried upon order. The fried chicken was pretty good. Moist, tender chicken under the crispy, thin skin…just thinking of it makes me salivate. Squeeze some lime on top for maximum satisfaction. The deep fried bitter gourd was not bad…although I still prefer the ones from Kanna Curry House. 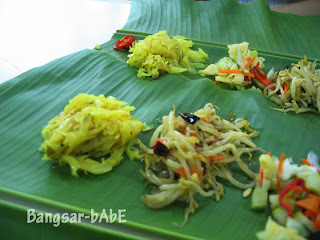 The banana leaf rice was standard…similar to the ones at other banana leaf eateries. Our meal cost RM 15. Overall, it was a pretty satisfactory meal and reasonable, too. 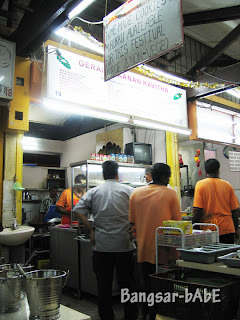 I prefer this place to Sri Nirvana Maju in Bangsar as the service is much, much better. Verdict: I enjoyed my meal and am looking forward to eating here again. Enough said. Come to think of it, i think the price is the same as Nirvana, but at Kavitha you get a bit more food. I had dinner there last night with my son. Well, the portion of food and price are very different since your last review. For 4 tiny pieces of chicken and a bit of vegetable with rice, my son’s platter came to RM 9 whilst mine was RM 10.50 with the same dishes with one additional hard-boiled egg. This is the price charged at hotels, not food-court! An equivalent meal in an Indian restaurant in Damansara Perdana only cost RM 6.50.